Tooth decay is the most common chronic disease found in American children. That’s a shocking statistic because in most cases, tooth decay is preventable. You might think that the state of children’s teeth isn’t a big deal. After all, kids lose their baby teeth and replace them with adult teeth anyway. It’s not until their permanent teeth are in that the work really begins. But that’s not true – kids need to take care of their teeth even when they don’t want to – because their approach to hygiene during childhood is not only important for their baby teeth but for how their mouth develops. What’s more, tooth decay impacts more than how early children lose their teeth. In fact, back in 2000, the U.S Surgeon General issued a report that estimated that 51 million hours are sacrificed every year because of dental-related illnesses. So, the state of kids’ teeth is important, but that doesn’t change the fact that it’s not always easy to get kids to take care of their teeth. Caring for children’s teeth is different than watching out for your own. As you know, children begin to develop what most people call baby teeth (otherwise known as primary teeth) between 6 to 10 months of age. Over their first three years of life, they’ll grow 20 baby teeth. As an adult, you’ll have another 12 teeth. Many people think that teeth are teeth – there isn’t a big difference between baby teeth and permanent teeth. But there are few differences to take note of when you’re helping your kids take care of their teeth. First, the composition of your kids’ teeth is a little bit different from adult teeth. Baby teeth have a thinner enamel than permanent teeth do. Enamel is the outer layer found on the tooth. It’s also the hardest material in your body. Enamel protects dentin, which is the main part of the tooth, because it’s sensitive and it takes a beating from talking, eating, and breathing. Children have such bright, white smiles precisely because they have a thinner coat of enamel. 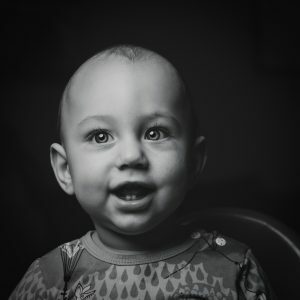 In fact, you’ll be able to tell the difference between their baby teeth and permanent teeth when they get older because their newly grown teeth will often be more yellow. What this means is that even though your children’s teeth are super white, it doesn’t mean their teeth are protected. Because the enamel is weak, they’re more prone to tooth decay from inadequate fluoride treatments or high sugar intake. Baby teeth help children eat and develop speech before their adult teeth come in. Once their adult teeth are ready, the baby teeth fall out. But baby teeth are also there to keep their adult teeth on track by saving space for permanent teeth in their mouths. When a child’s baby teeth fall out or are pulled too early, there’s nothing left to guide permanent teeth. The result may be the filling of the gap left for the permanent tooth. This can cause issues with teeth alignment that may need to be corrected with braces or even surgery later in life. Protecting baby teeth now saves pain (and money) later. Finally, kids need to learn to take care of their teeth at a young age to take care of their adult teeth once they come in. Not only does this provide them with a good foundation of dental health as they grow older – remember, tooth decay is the most common disease among kids – but it teaches them how to properly take care of their teeth early, so they don’t need to figure it out when something goes wrong. Kids who learn to take care of their teeth early not only protect their teeth in childhood but into adulthood as well. And good hygiene leaves them with a healthy smile that they can feel confident about. Dentist appointments should be made every six months, and those require traveling out to a dentist. Don’t neglect them. They’re essential for helping teeth stay clean, and they prevent painful problems, like cavities, from either developing or becoming worse. Regular dentist appoints are also a great way for kids to get professional fluoride treatments if required. Extra fluoride is great for kids because, as you remember, their baby teeth have less enamel on them. Fluoride strengthens that enamel and protects their teeth. Though, if they’re drinking water, your kids may also be getting an extra source of fluoride already because many communities put fluoride in their water supply as a public health measure. Brushing, flossing, and snacking are all things you control at home. The American Dental Association recommends that you begin brushing children’s teeth as soon as the first tooth comes in. You’ll use a soft brush and a fluoride toothpaste. Some parents worry about using a fluoride toothpaste. But it’s recommended by the American Association of Pediatric Dentistry, the American Academy of Pediatrics, and the American Dental Association. Moreover, as long as you’re using the right amount of tooth paste (about the size of a grain of rice or a pea) and you’re supervising them to make sure they’re not swallowing the whole tube, accidentally ingesting fluoride toothpaste isn’t a problem. Flossing should start as soon as their teeth begin to fit closely together. There’s no need to floss their one (or two) teeth. But once those teeth start coming in fast and furious, usually between age two and six, you’ll want to get them in the habit of flossing. Expect to lend your kids a helping hand (for dexterity) until they’re about 10 years old. To help them learn to floss, tie the ends of an 18-inch piece of floss around their fingers. Teach them to gently slide the flow between their teeth and their thumb and fingers. Show them how to do this without hurting their gums. Then, teach them to curve the floss around the tooth their flossing and how to move it up and then back down again. Snacking should also be limited after brushing, especially when those snacks are high in sugar. Avoiding eating a truck full of sugar is good for their general health, but it’s especially critical for preventing tooth decay. Now you know not only why taking care of your kids’ teeth is important but how they’re different from your own teeth. Plus, you know that taking care of their teeth requires a basic regimen of dentist visits, daily flossing, brushing, and not showering them in sugar. Unfortunately, most parents know that understanding why and how to nail dental hygiene is the easiest part of the process. You’re not the only one who’s Googled “how do I make my kid brush his teeth without screaming” lately. Again, you are not alone. Kids tend to interpret bathroom time as a chore. Whether it’s because they have to stop playing or because flossing isn’t fun (and they’re right), most kids don’t jump for joy when it’s time to brush their teeth. Let kids pick out their toothbrush. Make it a fun activity that you do together. Maybe even pick out your tooth brush at the same time so you can coordinate. When you reach a certain number of days or stickers, provide a big reward like a new toy, a trip to the zoo, more screen time, or whatever most interests them. You know how your kid asks, “are we there yet” every 5 minutes? Well, they often do that because most kids don’t have a sophisticated sense of time yet. It’s not their fault. Their inability to understand that only a minute has passed may be because time is a human construct. In the natural world, events define time – not a mechanical clock. So, for kids who haven’t mastered time (or let time master them), telling the difference between now and two minutes from now can be tricky when nothing has happened. Two minutes of brushing might feel like a second. Or, it might feel like an eternity. Give them a concrete sense of time by using a timer when during toothbrush time. Set the timer for two minutes. Then, help them brush their teeth as the seconds count down. Looking at the timer is a good way to teach children how to deal with time. But sometimes, you both need some extra motivation while brushing your teeth. Have a dance party in the bathroom. Have the child choose their favorite song by looking at the track length. Then, turn the music up loud and have a wild, crazy dance party during tooth brushing time. This is great bonding time for kids and families, especially as they reach school age and start to feel a little crankier from all the new stressors in their life. Not only will you both get the job done, but a quick dance party can put a smile on both your faces and boost your moods. Positive examples of brushing and dental hygiene in the wild are always a great motivator for kids. When ‘mommy does it’ fails, one can always rely on Peppa Pig. Head to YouTube to look for videos of your kid’s favorite cartoons brushing their teeth. You’ll find videos of Elmo, Calliou, and Crawford the Cat brushing their teeth. Not only will the cartoons reinforce hygiene as a positive behavior, but they’ll help your child feel closer to their favorite characters. Alternatively, pick out a story about tooth brushing. Or make a big deal about characters brushing their teeth in non-teeth related stories. Normalizing dental hygiene using your child’s favorite cartoon characters is a great way to remind them that everyone must brush their teeth – even Peppa. Turn tooth-brushing time into story time by telling micro-stories in the bathroom. Set a timer for four minutes and make up a short story. Start the second they start brushing their teeth and stop as soon as they’re finished. Try to leave the story on a cliffhanger so you can pick up the story again the next day. You’ll leave them desperately waiting for the next installment of the saga. You’re pre-empting the next day’s battle by providing them an incentive: a story that only takes place when they brush their teeth. Telling stories is a good distraction and will make the time fly by. You’ve also got all the non-hygiene related benefits of fostering creative growth and helping them improve their vocabulary. There are also memory benefits. They’ll have to remember what happened in the story from the previous day for the story to make sense. You don’t need to make it all up. Research some folk tales or think about family stories that you can tell in serial form. This is a great idea for young children and toddlers who fight you at every turn. Although it might be uncomfortable, let them brush your teeth first, so they can see how painless it is. Then, ask them to let you brush theirs. Alternatively, allow them to practice with a doll or stuffed animal. Use a dedicated toothbrush for the toy, but let your child brush their doll’s teeth, and then take turns and have them brush their own. Time with parents is special for kids. Take time to talk to them about what the morning has been like or what is ahead for the day while they’re brushing. You’ll get them to focus on you – and not on brushing – and that will make getting through the process easier. It’s also another moment to bond with your children. And it’s undoubtedly one you’ll miss once they get older!